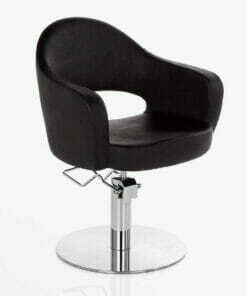 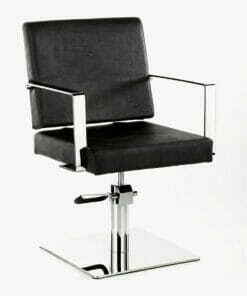 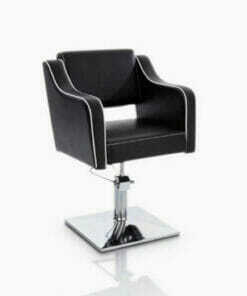 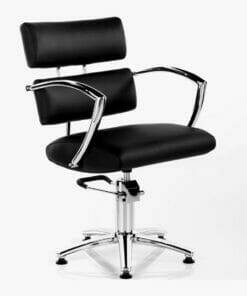 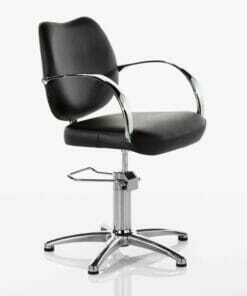 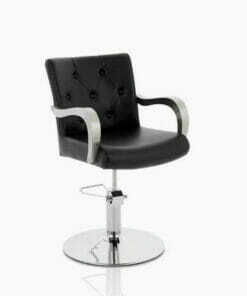 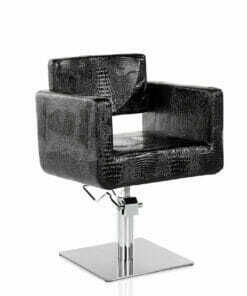 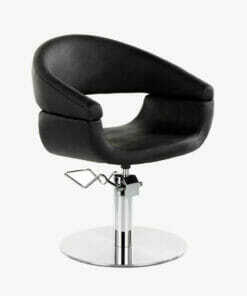 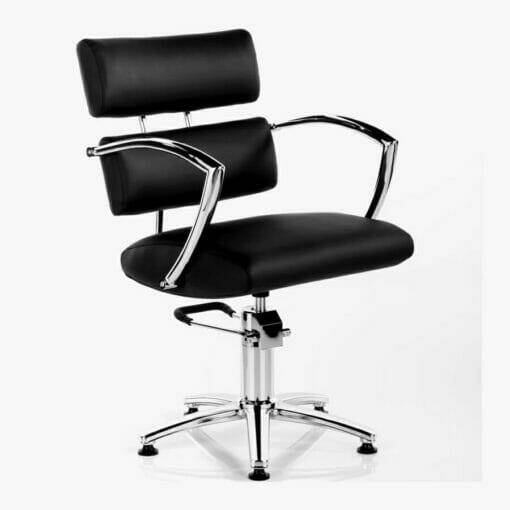 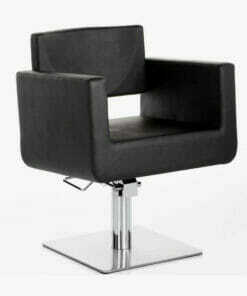 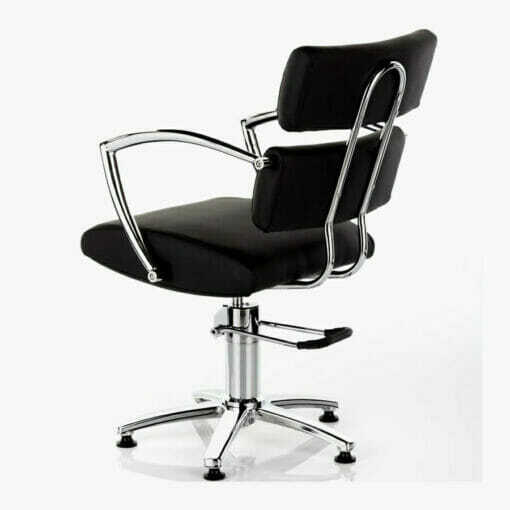 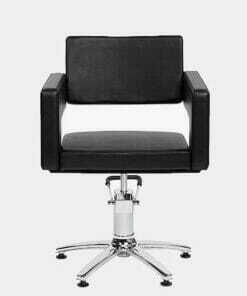 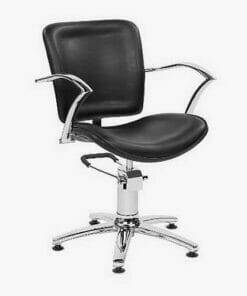 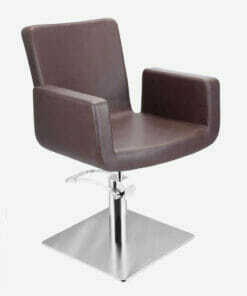 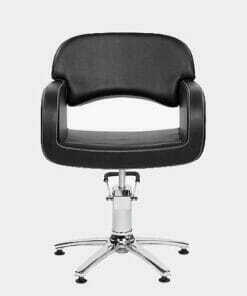 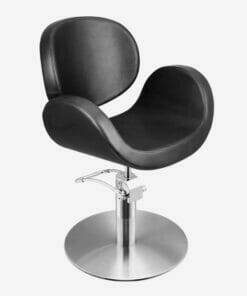 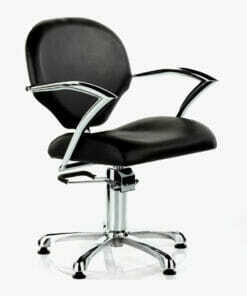 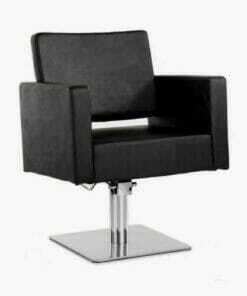 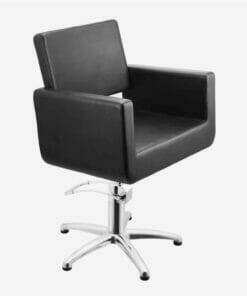 Elegant and economical salon chair. 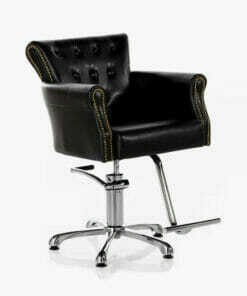 With a comfortable split backrest and deep cushioned seat. 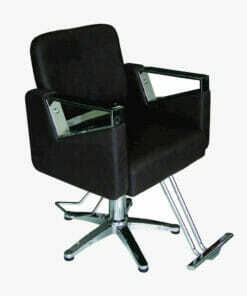 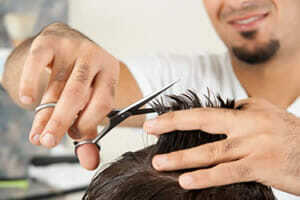 The Antigua Hydraulic Styling Chair is supplied on sturdy and durable 5 star base. 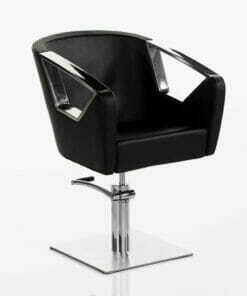 And comes complete with a 360 degree rotating, locking pump. 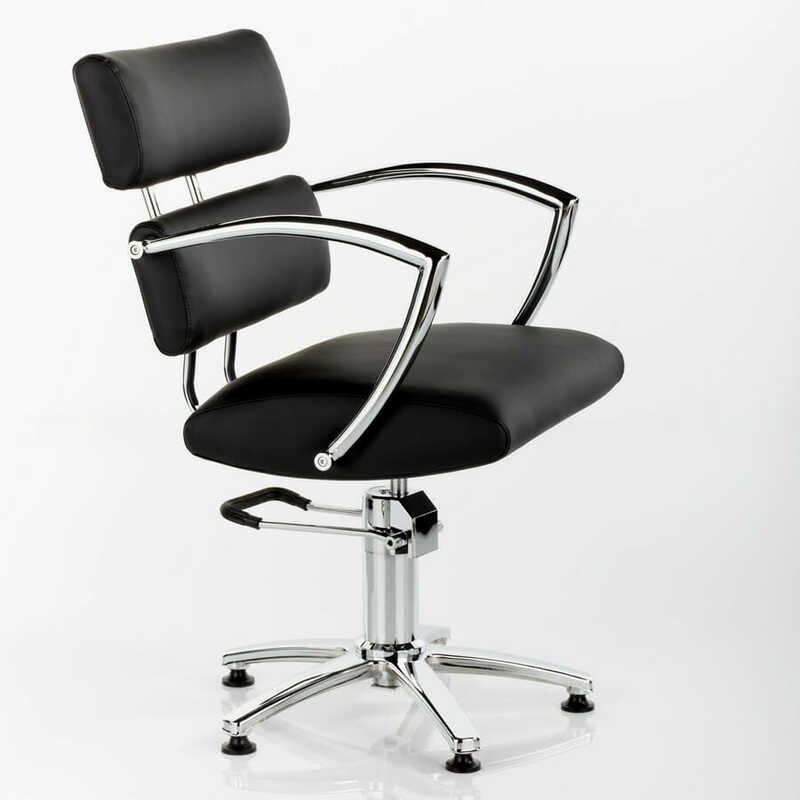 This allows easy height adjustment and prevents the chair rotating while in use. 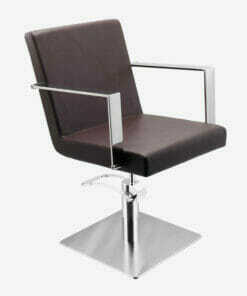 With stylish chrome arms to complete the overall feel of the chair. 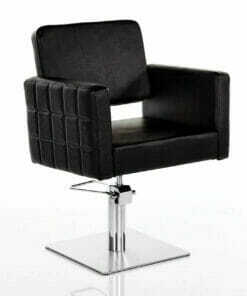 The Antigua Styling Chair is upholstered in a hard wearing black fabric only. 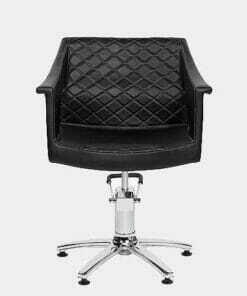 Dimensions: Width 58cm, Height 50 – 62cm, Depth 66cm.